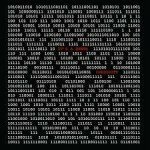 Content: While awaiting the new Hocico full length album we now get an amazing EP as a teaser entitled “In The Name Of Violence”. In my opinion, the title song of this EP can become one of their biggest hits ever. “Forgotten Tears” takes us back into the past and is meant as a gift to the fans of the band. This song became one of the all time favorite tracks of the fans so it now got finally released as an EP title-track. “Forgotten Tears” was originally released on “Signos De Aberracion” (2002). The “Original Mix” was placed among the tracklist, which is an opportunity to rediscover the songs. The “Re-Covered Version” opening this release sounds quite faithful to the original one, which is quite loigical as it was originally composed in 2001. It remains a typical Hocico-song driven by the evil sound forces of the Mexican duo. It sounds as cold as a death body, which is perfectly symbolized by the ghost-like strings hanging over the cut. The enraged vocal parts are clearly coming from a mythical place called ‘hell’. This is exactly what Hocico stands for! We also get 4 remixes of this legendary song. The most noticeable remixes are the ones by Leæther Strip and Blutengel, which each successfully incorporated their own touch to the song. I also recommend the more into EBM-driven remix by Devil Sight. You also will rediscover another song that was originally released at the aforementioned album “Signos De Aberracion”, but in the original format. The song has been simply covered by retro-EBM act Jäger 90. The B-side song “Never Be Tamed” is a quite interesting cut as it was originally written in 1996 during the recording sessions of the “Odio Bajo El Alma”-album. 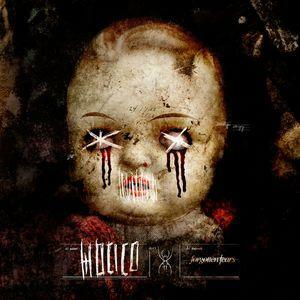 It’s not the best Hocico-song ever –which probably explains why it was never released before, but it sounds in the purest style of the band. It’s a fast and furious exposure reminding us of their early years. A last featured song is the somewhat experimental “Limbotic”, which was composed and used as an intro for the “Memorias Atras”-tour in 2008. Conclusion: It’s not so usual to see a song that was originally released more than 10 years ago becoming the title song of a new EP. There’s nothing stronger than the call of the fans! Best songs: “Forgotten Tears – Original Mix”, “Forgotten Tears – Leæther Strip Remix”, “Forgotten Tears – Devil Sight Remix”. 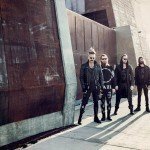 3TEETH will support Tool on a US tour in January - ain't that sweet?